We’d love your help. Let us know what’s wrong with this preview of Not Flowers for Charlie by C.M. Turner. To ask other readers questions about Not Flowers for Charlie, please sign up. This is a coming-of-age story filled with beautiful and sometimes poetic lines, the joys and tragedies of family, and most importantly, the permanence of true friendship. Because, as Turner writes, the people in our lives “don’t really die,” so long as “people remember” them. “Not Flowers for Charlie” is the kind of book you’ll want to read alone with your emotions. It tests them all―in the most positive of ways. It’s not a roller-coaster, or a purge, but rather a true inventory of modern American childhood and family life. It is a reckoning of the past against the reality of the future. Turner does an excellent job of showing the blissful romance of youth wedded to the admonition of those experiences in adulthood. As Turner’s Charlie opines, “you gotta risk your life to live it.” Turners’ characters have certainly done that. They show those meek in the art of living what they miss by merely passing through life without taking chances. Through Charlie, we can recognize the magnificence of the everyday world that is all too often hidden by the blinders of life’s distractions. Reviewer’s note: I was provided an advanced review copy by the author. Not Flowers For Charlie is the second novel I have enjoyed from author C.M. Turner and it’s strikingly different in voice and genre than the Southern gothic, Where The Ironweed Blooms, which immediately made me a fan of her distinctive writing style. This nostalgic, coming of age story speaks with wisdom on a time many people may have forgotten or might not have experienced themselves. The McCarthy Era, a strange time in American history where families watched the A-bomb experiments and Neil Arm Not Flowers For Charlie is the second novel I have enjoyed from author C.M. Turner and it’s strikingly different in voice and genre than the Southern gothic, Where The Ironweed Blooms, which immediately made me a fan of her distinctive writing style. This nostalgic, coming of age story speaks with wisdom on a time many people may have forgotten or might not have experienced themselves. The McCarthy Era, a strange time in American history where families watched the A-bomb experiments and Neil Armstrong walking on the moon on TV. A time where decent women were expected to wear lipstick, get married and always keep the house dusted. Seymour is a young, affable kid, who craves quiet––a loner and part of a dysfunctional family in Southern California. After his parents get divorced, “Chief” his masculine and resolute father has primary custody of him and his two brothers Joel and Roland and they move into an apartment complex. His brothers form their own secret club called “The Commandos.” Seymour is even more alienated and withdrawn, as he tries to cope with reality. Life is nothing to shout about, but it’s ten million times better now, because his overbearing, manipulative and social-climbing mother Lila only claims her responsibilities on weekends. She drinks her weight in vodka while doling out physical punishments when her boys don’t listen or give her the attention she feels that she deserves. A drama queen with multiple issues stemming from low self-esteem, Lila became the antagonist who divided houses after she marries Harry a self-made millionaire, and a selfish woman who stole serenity from anyone who dared to seek it. A brilliant light illuminates this story when an incredible character named Charlotte “Charlie” arrives and her little brother and mom Gwen become the neighbors we all wish we had growing up. There is so much more at this point, because Charlie is so special, so memorable, and so amazing––she’s eternally curious and open to wonder. She is that lifesaving person we shared our deepest secrets with. The friend who would walk through fire with no expectations or a payback and always helps us see the beauty, even when we are at the lowest of lows. Time passes on and the reader is taken on simple and adventurous journeys through the wild Arroyo Seco Canyon, before tract housing filled the valleys. Images of orange groves, coyotes howling at the sky, and adventures with the fabulous Miss Celeste and her horses pepper this story in a perfect rhythm, as we come of age with Seymour and Charlie. Life changes and so does their relationship when their parents, Chief and Gwen marry and they become stepsiblings and grow even closer. It was interesting to hear about the challenges a young person being vegan in the early 60s proposed and how men and women interacted with each other, what was expected and perhaps not spoken about as well. Family dynamics and physical and chemical abuse creates a rift that follows everyone, until it changes the future and takes it toll. This moving novel, as told in retrospect by Seymour will transport you to that time in your life when you were still innocent, when a “bad” person was easily identifiable and the moon on a summer night glimmered only for you. At the heart of this soulful story is genuine love, perhaps some regret as well, for what we don’t see until it’s too late. The reader is left with an important message… that if we are ever lucky enough to know someone like Charlie, we better hold on tight, appreciate and listen close, because even the brightest stars might disappear and be gone forever. Brought together by their shared apartment complex, Seymour and Charlie become first inseparable friends, then family, as they make friends, plans, adventures and find ways to navigate the joys and losses, trials and pitfalls of their adolescence. Disclaimer: I received an advance copy of this book in exchange for this review. Not Flowers For Charlie is told primarily through Seymour's perspective, either in the novel's main setting of the 1960's or in his recollections from the present day. As su Brought together by their shared apartment complex, Seymour and Charlie become first inseparable friends, then family, as they make friends, plans, adventures and find ways to navigate the joys and losses, trials and pitfalls of their adolescence. Not Flowers For Charlie is told primarily through Seymour's perspective, either in the novel's main setting of the 1960's or in his recollections from the present day. As such, the majority of the events are coloured by his own experiences. Seymour seems to be one of those children old before their years, the reasons for which become apparent as the story progresses. Although as intelligent as Charlie, he often lacks either her confidence or her constantly inquisitive nature, but mostly he is happy enough to be carried along he her enthusiasm. Charlie is given some additional insight through frequent excerpts from her log, misspellings and all. A precocious child, her intelligence and curiosity about the world shines through, as does the fierce love she has for those close to her. But for the most part, she remains part of Seymour's reminiscences as do the rest of their family. Their other brothers are afforded significantly less page theme, with only one of the three given much examination. Of the adult characters, Charlie's mother Gwen and their friend Miss Celeste are the best drawn, with Seymour's father being more removed, something he laments later. Seymour's mother, grotesque as she is, stays just on the right side of caricature; giving a portrait of a spoiled selfish woman equally unable to see people as anything but a reflection on herself and the damage such thinking does to those around her. The writing is strong and straightforward, evoking a great sense of time, place and the kind of small town life that,in many cases, doesn't exist any more. Having previously read Where the Ironweed Blooms by C.M. Turner, I had high expectations for Not Flowers for Charlie. Though the two novels are quite different in style and setting, Turner exceeded my expectations with a beautiful coming-of-age story. Not Flowers for Charlie revolves around the childhood bond between Seymour Chilton and Charlotte “Charlie” Bradshaw. Readers are taken on a nostalgic journey through youthful innocence, love, loss, and ultimately, we learn what it means to really l Having previously read Where the Ironweed Blooms by C.M. Turner, I had high expectations for Not Flowers for Charlie. Though the two novels are quite different in style and setting, Turner exceeded my expectations with a beautiful coming-of-age story. Not Flowers for Charlie revolves around the childhood bond between Seymour Chilton and Charlotte “Charlie” Bradshaw. Readers are taken on a nostalgic journey through youthful innocence, love, loss, and ultimately, we learn what it means to really live. The novel flows at an easy, comfortable speed with strong writing and poignant messages. Charlie’s journal entries offer humor and light, providing Seymour insight on some of the harder lessons in life. Seymour’s adult character evolves through the rediscovery of his youth through the eyes of his best friend. 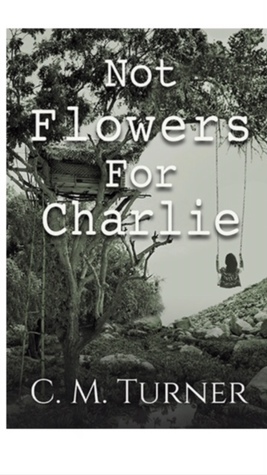 I highly recommend reading Not Flowers for Charlie and becoming part of this special book. C.M. Turner is the author of Where the Ironweed Blooms, Not Flowers For Charlie and four other novels to be published in the not too distant future. She is a multi-genre author, who grew up in Southern California and lived in the Pacific Northwest, as well as several states in the South. She has met an become friends with people from all walks of life, many she is still in contact with today. She p C.M. Turner is the author of Where the Ironweed Blooms, Not Flowers For Charlie and four other novels to be published in the not too distant future. She is a multi-genre author, who grew up in Southern California and lived in the Pacific Northwest, as well as several states in the South.